It is a honor to serve on the Board of the Upper Deschutes Watershed Council. From the UpStream event to support their amazing educational program, to so many restoration projects the UDWC is busy all year long. 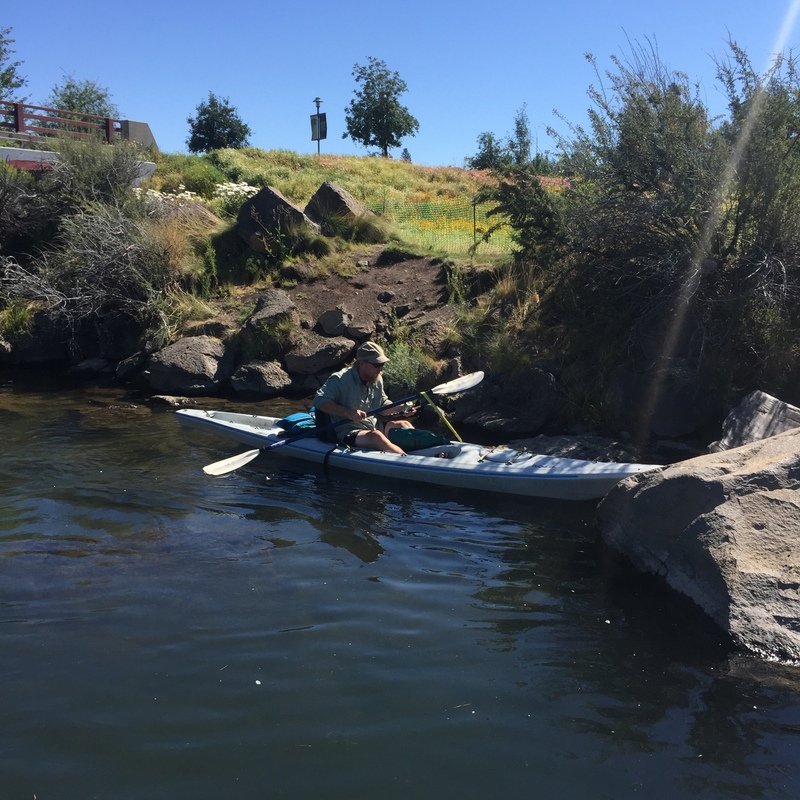 One of their most visible events is Stream Stewardship Day when the entire community is invited to gather at the downtown Bend section of our beautiful Deschutes River to clean up and pull invasive species from the shore. Large garbage bags in hand, we all set out after learning what each of the three targeted invasive weed species were. 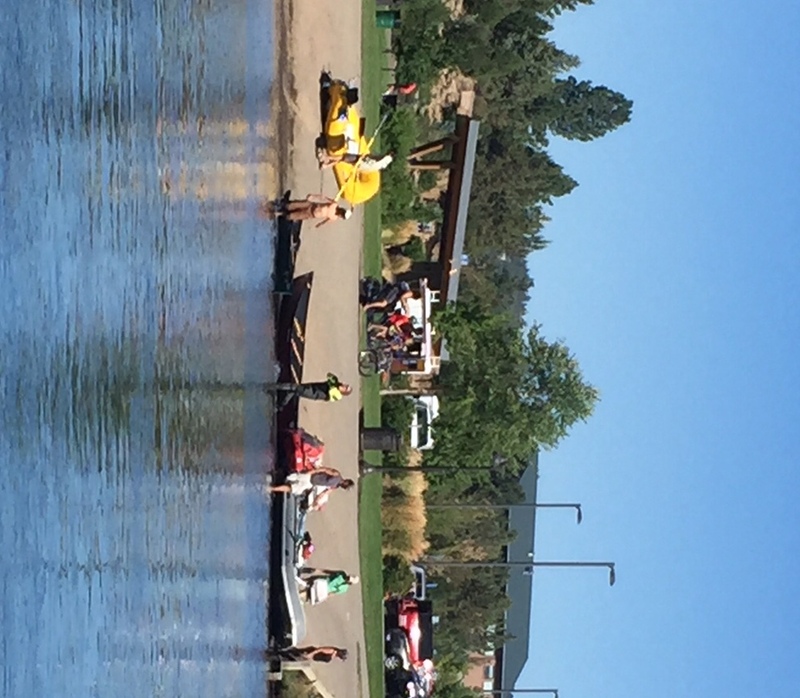 About 60 people took to the banks while the divers, about 20, prepared to clean the mid stream channel and others manned support boats and paddleboards. Those of us choosing to hit the water with the divers, canoes, kayaks and SUP boards were ready to get wet if necessary nabbing beer cans, bottles, plastic, a bike, an umbrella, many car keys and more. More than 45 bags of trash and weeds were collected. Most of the largest items (bikes, umbrellas, plastic) came from the deep and fast-moving mid stream area. It is obvious that we need to have a sense of stewardship among the recreational users of our beautiful river. Taking care to keep everything loaded onto a raft or float at the put-in taken OFF the river at the take out. Yes! and that is the point – we can all do our part and make a difference. Bring a container for loose items and garbage, pick up trash you see floating or along the riparian areas. Here are a few shots of all of us enjoying time on the water.